How many times have you heard how important it is to exercise regularly? And how many times have you told yourself that you need to start exercising again, and then never seem to find the time or energy? You are not alone in this. It seems once you get into the habit of doing it, you feel better and have more energy. But inevitably, something in life takes your attention and you fall out of the habit again and again. Especially when dealing with a chronic illness such as Lyme disease, proper exercise is a necessary part of healing. The question is what is “proper” for Lyme patients? How does exercise affect your body when you do, and when you don’t exercise? How do you get started slowly and find something that works for you that is also enjoyable? Each of us has individual likes and dislikes, specific needs, and I don’t think ONE regime is the answer. Just like with diet, emotional, mental, and social health, we are all very unique, and we all change with time. What happens in the body when you exercise? Depending on what type of exercise and the duration and intensity, it can have a positive or a negative effect. Besides the obvious things such as increased heart rate, sweating, burning calories, etc…..there are certain physiological changes that happen when we exercise. Cardio or Aerobic exercise is usually the one we hear the most about, but is probably the least understood. There is much confusion surrounding this, particularly for Lyme patients. We are told to exercise, but to avoid Aerobic exercise. My first question was why? Let’s start by defining aerobic exercise. Generally it is any exercise that is done at a moderate pace for extended periods of time in order to increase oxygen consumption and improve heart and lung function. Sounds great, right? Not quite. It all depends on how you do it…..
Studies show that moderate exercise does increase immune function. However, too much or too intensive exercise can diminish immune function. I have seen some reports that show that longer durations of exercise are not as good for heart strength and function as short bursts of intense exercise. As described in “Nutritional Strategies and Immune Function” by Stephen Rossi, et al. “Moderate exercise has been reported to produce an anti-inflammatory environment and thus reduce the risk of infection. Conversely, continuous, intense exercise may increase oxidative stress (an overproduction of reactive oxygen species compared to the body’s ability to detoxify), inflammatory responses, as well as the risk for infection.” This report is the best explanation I have found on how exercise effects immune function in general, and is available from the National Strength and Conditioning Association. What happens in the body when you don’t exercise? Regular exercise significantly decreases inflammation, build-up of toxins, and stress levels. When you don’t exercise, the opposite tends to happen which impairs the immune system, increases physical ailments such as headache, blood pressure, fatigue, and sleep disturbances. Muscles begin to atrophy, joints stiffen, and bones weaken often leading to pain. Metabolic and Immune functions are significantly decreased. A sedentary lifestyle creates a sedentary function of all systems: physical body, emotional, mental, spiritual, and social. The list of possible negative effects of lack of exercise goes on and on. Quite simply….most, if not all, serious disease and illness is in part due to lack of exercise and poor nutrition. If you’re anything like me, you hate going to the gym. Personally, I don’t have the time or money to spend on a gym, and there is nothing about running on a treadmill, or lifting weights, particularly in front of a bunch of strangers that sounds remotely appealing to me. Some people love it, but it’s just not for me. The most important thing is to find something that you enjoy, or you won’t continue to do it. There are a million types of exercise you can do; you just have to start moving. You can swim, dance, walk, do yoga, hike…the options are unlimited. The only limitation I would consider is making sure it is one that is gentle on your joints. High impact exercise is not sustainable for most people over time. If you are unable to get out of bed or out of a chair, you can do low impact strengthening to keep muscle tone and prevent atrophy. I think the best rule of thumb is to go easy to start. If you feel sick, worn out, or tired the next day, you did too much. If you have not exercised in a while, (which is often the case with Lyme patients due to joint pain, fatigue, etc….) start with some basic strength training. You may need to go to a physical therapist if you have been immobile for some time in order to get proper instruction on strengthening, stretching, and improving mobility of joints and muscles. You don’t have to stick to a regimented schedule so long as you make sure you get around to it at least 2-3 days a week. It may be easier to do it when you wake up in the morning, right after work, or somewhere in between. Find a time that works for you without causing additional stress. If the thought of exercising stresses you out or makes you groan, you won’t do it. You should be excited and happy to do it…..motivated. Using very basic exercises, some ankle weights, and resistance bands, you can quickly regain basic muscle strength which will help with joint problems. Typical Physical Therapy Exercises are the best for this. Start without weights and slowly build up strength. As you feel you can tolerate it, add the lowest weight available and build up from there. Resistance bands are inexpensive and allow you to tone and strengthen without stressing joints. There are several basic exercises you can do with them. I use these exercises as part of my regular routine at home. Stretching is important to prevent injury and retain flexibility. It also helps to relax your whole body, increases deep breathing, and releases toxins. You can do basic stretches or you can do Yoga. Yoga is particularly wonderful because it includes strengthening and lengthening of your muscles along with deep stretches and breathing (See Bikram Yoga below). Walking is a great way to get the heart pumping without overdoing it. Just use caution as far as what surfaces you walk on and what shoes you wear to ensure you are supporting your joints properly. Also, make sure you don’t overdo it. It’s good to break a sweat, but don’t push yourself so hard you are gasping for breath. Rebounding exercises vary from beginner, intermediate, and advanced workouts. It is a form of exercise that uses a mini rebounder trampoline and by the use of gravity, it stimulates cells, tones muscle, and stimulate the lymphatic system. Remember with Lyme…less is more. I discovered an alternative to treadmills during my physical therapy sessions and purchased what turned out to be one of the best investments I’ve ever made. If you do go to a gym, try to find one of these machines in lieu of a treadmill or elliptical machine. The Arc Trainer is designed with the protection of joints in mind. It is incredibly versatile, can be low or high intensity, and does a very complete lower body workout along with cardiovascular support. The rate is under your complete control, so you can go easy on it. Put this together with stretching, resistance bands, and ankle weights (with leg exercises) and you have a complete full body work-out at home. It can be a little pricey, but you can always ask to purchase the floor model or a used model for a significantly cheaper price. They are reliable machines that don’t wear out easily. They do weigh a ton, so it’s worth paying the supplier to deliver it and set it up in your home. 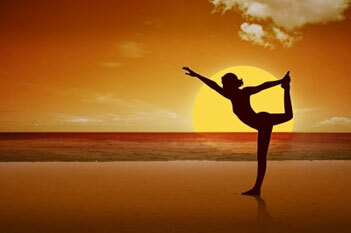 If there was one type of exercise that I would recommend, it is Bikram Yoga. It does need to be done at a studio, but it is well worth it. Personally, I feel this is the absolute best form of exercise, particularly for Lyme patients who can tolerate heat. It is low impact and not intense aerobic. It encourages natural detoxification, improves immune and digestive function, gets oxygen flowing through the body, and lengthens and strengthens the spine. It does all of this in a hot temperature and humidity controlled room (105 degrees). Lyme spirochetes don’t like heat or oxygen, so this is a win-win option if you can tolerate it. If you cannot tolerate heat or cannot afford classes, you can try Hatha Yoga which is what Bikram is based off of. You can often find DVDs that allow you to do it in your own home. You can also do chair yoga if you are unable to walk or stand. Even if you can do this once a week, it is helpful for overall health and well-being. I started doing Bikram Yoga over 10 years ago, long before I was diagnosed with Lyme and I often wonder if it was part of the reason I was able to stay relatively healthy while being infected with Lyme as long as I was. My symptoms did not begin to increase to a debilitating degree until my attention to nutrition and overall health rapidly decreased. My first Bikram instructor, Mary Jarvis from Global Yoga in San Francisco, has an amazing story of recovery. She helped me heal chronic back pain and knee problems which I later found out were due to Lyme disease. Hind sight, I think I even had some Herxheimer reactions from it. Bikram Yoga was originally developed from Hatha Yoga by Bikram Choudhury after a debilitating knee injury. He developed this form of Yoga to heal himself. It focuses on lengthening and strengthening the spine, stretches and loosens joints and ligaments, massages internal organs, increases heart and lung function, boosts the immune system, and rids your body of toxins. Sounds like a match made in heaven for Lyme patients. If you have the opportunity to try Bikram Yoga from a certified instructor and studio, even once a week, I would highly recommend it. You don’t have to pick one thing or another nor do any specific exercise “protocol.” You can get creative. The idea is to move. You need to keep your body moving to keep oxygen flowing, muscle strength, flexibility, and to help remove toxins. Immobility decreases immune function and increases disintegration. What do I mean by get creative? How about you turn on one of your all-time favorite songs and dance. Even if it’s just a shuffle, or just waving your arms. It doesn’t have to be a specific dance. Just let the music move you. You could also get creative about where you exercise. Go to the beach, or a park, or even in your backyard to walk or do yoga. Get some fresh air with your deep breathing. Go hike up to your favorite peak! Just use tick prevention!